HomeBlogArticlesHow to use Edison’s Institute’s Distance Learning to further your career in Nutrition? The current challenges facing traditional colleges and universities, including higher tuition, budget cuts, and course shortages, have caused many students to search for alternatives. With nearly three million students currently enrolled in online degree programs and six million taking at least one online course as part of their degree program, online education has clearly become one of the most popular higher education alternatives. The continually improving reputation of online learning has also helped fuel its expansion. With research that shows that online learning can be just as effective as face-to-face education, even skeptics now trust its worthiness. Many traditional universities have started to share their courses online for free. It represents an easy and comfortable method to achieve knowledge in almost every field, from law and accounting to human sciences including psychology and sociology or history. 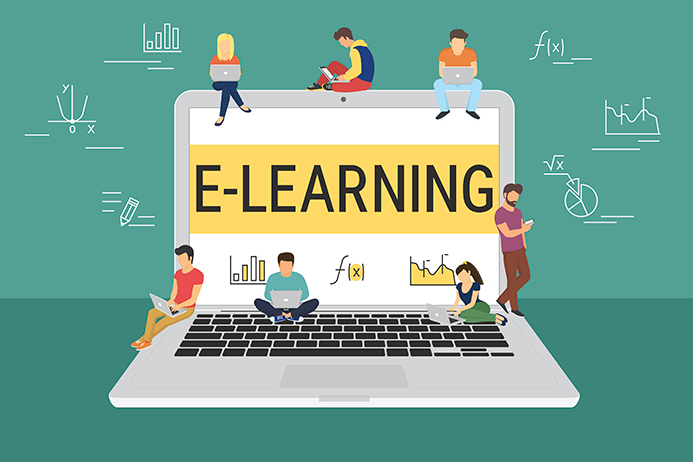 Online learning is a great alternative to traditional learning, especially for people who can’t afford the time and money to attend the classes physically. Although many people still consider traditional universities as the best way to achieve knowledge and get a diploma, online learning proves to be a great alternative. Students have the chance to study according to their schedule and for free. It is a great way to gain knowledge in multiple fields and boost the level of self-motivation. Online learning is effective because students can finish their homework quickly and there is more time left for hobbies or finding a job. An access to all resources of a traditional course helps participants learn wherever they are, giving them the privilege of choosing their time for study. All a student, aspiring to study online, needs is an internet connection. Distance or online learning also imbibes the qualities of responsibility and self-discipline in students. All of this means that students, from working professionals to recent high school graduates, find it advantageous to take all or some of their courses online. Edison’s Institute’s Distance Learning to advance your career in Nutrition. Consider furthering your education, after graduating, by getting a professional designation. This way you will be able to contribute a great deal to your professional growth as well as the growth of the organization you will be working with. Holistic Nutrition Consultants earn a Diploma or Certification upon graduation from a qualified school. These schools must be approved by the professional associations, NANP in the U.S. and IONC and CANNP in Canada. Member school curriculums must meet the criteria set out by each association. Edison Institute of Nutrition has the most number of curriculum hours and content over any other approved correspondence program in North America. As a member of one of these associations you will be qualified to practice nutritional consulting and to use their professional designation. Membership requires annual continuing education upgrading (CEU’s). Holistic Nutritionists have a very different knowledge base than Dieticians. The Holistic Nutrition curriculum at Edison Institute combines the latest scientific research with ageless truths. The practitioner learns to treat the individual with the disease, rather than treating the disease the person has by addressing the underlying root causes – Lifestyle and Emotions, Chemicals and EMF’s in the environment, Food and Nutrients. The focus is not on the disease or symptoms specifically. Focus is on the terrain that allows the disease symptoms. Edison students are taught assessment methods and protocols to address all of these root causes. 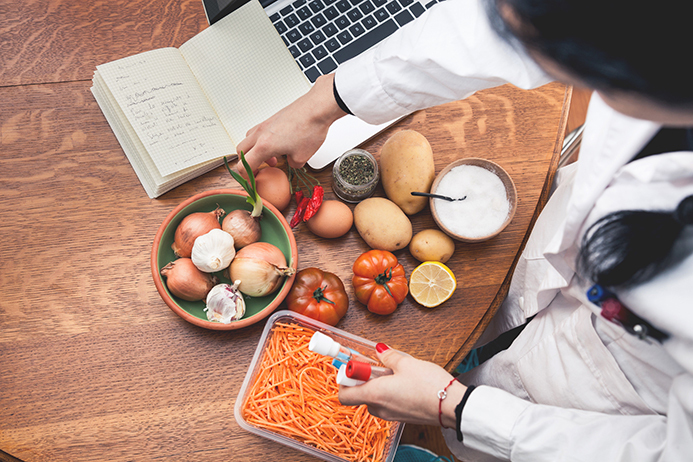 If you are looking for a correspondence study program that will introduce you to the foundational sciences and fundamentals of nutrition, the Edison Institute of Nutrition offers a Practitioner Diploma. You may also earn an Advanced Diploma. Graduates of the Practitioner Program are eligible for professional designation by a number of recognized associations. The Edison Institute of Nutrition (EIN) provides comprehensive distance learning opportunities with texts and audio materials delivered right at your doorstep. EIN serves students in many countries worldwide. Backup your career in nutrition by joining this esteemed Edison Institute of Nutrition. I am Penny who really interested online course to become a professional nutritionist or Holistic Nutrition Consultant however I am very new on this. Please advise how and where should I start?